Economist. President of Saba Infraestructuras from July 2011. He has been President of the Abertis Group (2009-2018). Previously he held the post of Managing Director of Abertis and Board Member – General Manager of Acesa Infraestructuras. Salvador Alemany now also holds the posts of Trustee of the “la Caixa” Banking Foundation and President of the Patronat of Barcelona’s opera house, the Gran Teatre del Liceu. He is also Honorary President of the Garage Guild of Barcelona and of ASESGA (Spanish Association of Car Parks and Garages), among others. He has been President of the Círculo de Economía (2008-2011) and President of the Advisory Board for Economic Recovery and Growth of the Catalan Regional Government (Generalitat de Catalunya) (2011-2015), among others. Economist and MBA from ESADE. CEO of Saba Infraestructuras since July 2011. Between 2003 and 2011, he held various positions of responsibility inside the Abertis group: General Manager of Business and Operations (2009-2011) and General Manager of Corporate Management and Diversification (2003-2009). His career was linked since 1996 to 2003 to Acesa, where he joined in as controller, and became Strategic Planning and Corporate Control Manager in 1999. Previously, between 1990 and 1996, he held various positions related to active operations analysis (financing to enterprises) and management control of companies in which “la Caixa” held shares. Graduate in Civil Engineering and PADE at the IESE Business School. International Car Parks Division Director (Italy, Portugal and Chile) since 2014. Until October 2016 he was the Logistics Parks Division Director of the Group. Previously, he was the CEO of Consorci de Parcs Logístics (CPL) and between 1998 and 2009 he was the CEO of the Barcelona Port Authority. He was also the Dean of the Catalonia School of Civil Engineers (2006-2014). Economist and Post-graduate in Property Law. Economic-Financial Director of Saba Infrastructuras since July 2011. Since January 2019, he has also assumed the area of ​​Internal Audit and Risk Management. Previously, he was the Corporate Tax Advisory Director of the Arbetis Group, which he joined in 2001. He has also occupied posts of responsibility at Cuatrecasas Abogados, Banc de Sabadell and Arthur Andersen, always in the financial and insurance fields. Telecommunications Engineer, MBA from the EU Business School and PDG at the IESE Business School. In the post since September 2018. He has been Saba Estacionamientos General Manager —subsidiary of the Group in Chile— between 2015 and 2018. He joined Saba Infraestructures in 2009 as Business Operator Manager. Before that, his professional career was linked to the ICTs field, where he held various management responsibilities, standing out the Management of the Retevisión Information Systems or the Management of Business Coordination at Abertis Telecom. Civil Engineer and MBA from the ESADE Business and Law School. 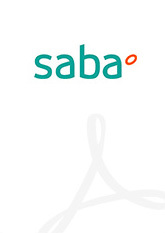 Technical Director of Saba Infrastructuras since July 2011. He joined the Abertis Group in 1992, and assumed the Operation and Construction Management of Abertis Logística in 2003. Previously, he held posts of responsibility at the Parc Logístic de la Zona Franca, Aucat and Acesa. Degree in Law and a Master's Degree in Tax Advisory Services from Barcelona University. She has occupied the post since July 2011. Previously, she performed different functions within the Abertis Group's Corporate Legal Advisory Department, where she was Head of the Business Division since January 2010. Likewise, she has occupied posts of responsibility at PricewaterhouseCoopers and at the Folchi Associates Law Firm. Degree in Business Administration and Management. Director of Business Development, Planning and Control since May 2014 (including Efficiency projects since January 2019). He joined Saba Infrastructuras as Business Development Director in July 2011. Previously, he was Director of Abertis' Corporate Development Projects, a company at which he occupied various posts of responsibility from Acesa, to which he was linked in 1997. 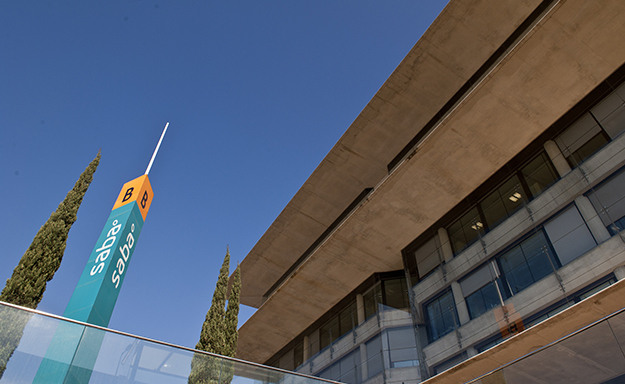 Graduate in Psychology, Diploma in Labour Relations and PDG at the IESE Business School. People and Organisation Director of Saba Infraestructuras since March 2016. Previously, she was the Human Resources Director for Spain and Portugal of Coty (2012-2015). She has also occupied posts of responsibility at Caixa Manresa (2005-2011), Miba and Valeo, always in the Human Resources field. Telecommunications Engineer and MBA from the EADA Business School. He joined Saba Infraestructuras as Efficiency and Management Control Director in 2011 and assumed the Risks, Efficiency and Projects Department between 2014 and 2018. Before that, he assumed posts of responsibility at Abertis (2005-2011), attached to the Operations Director, and at Abertis Telecom as Director of Business Development. His professional career is linked between 1999 and 2005 to the Auna and Endesa Groups, at which he occupied various management functions. Degree in Media Studies. She has occupied the post since July 2011. She joined the Abertis Group in 2003, and from 2008 was the Head of Communication for Motorway and Telecommunications Divisions. Between 1993 and 2003 she worked at the ABC Newspaper and previously at the Efe Agency.